Creating a distinctive and memorable marketing platform for Zodiac. Zodiac builds innovative pool pump and heating systems designed to work with all iOS, Android and Mac devices via an iAqualink app. This assists pool owners with keeping their running costs to a minimum and enables them to control their pumps and/or heating system remotely. As a relatively new player in the Australian market, the company’s marketing wasn’t achieving sufficient stand out against more established but less innovative brands. In a sector where much of the advertising rarely offered anything surprising, there was a real opportunity to create a distinctive and memorable campaign for Zodiac. Our challenge was to reach affluent, time-pressured pool owners and encourage them to view Zodiac as an innovative company producing extraordinarily smart and easy to use products capable of saving them time and money. Our strategy was to persuade pool owners that Zodiac offered the cleverest, most innovative pool equipment on the market. We wanted to break the mold in the category by producing a campaign that avoided expected imagery and gave the brand a friendly, even humorous tone of voice. 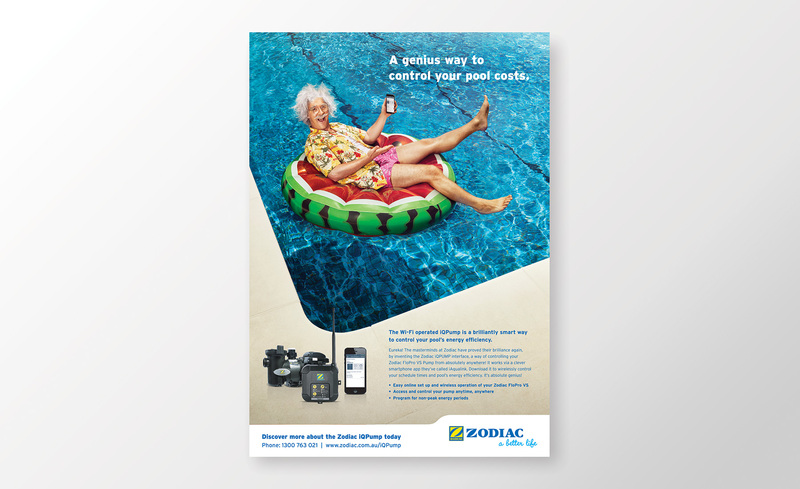 In order to communicate how smart and advanced Zodiac’s pool products are, we created a campaign that injected a little humour into this tech-driven category. As one of the smartest minds of all time, Albert Einstein was the ideal character to front our campaign. 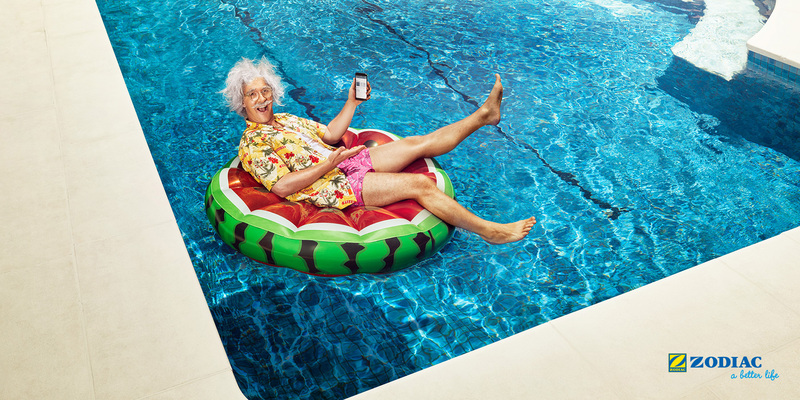 Rather than use the famous scientist as everyone remembers him, we decided to create a younger, pool-loving version decked out in the latest fashionable swimmers. We cast several young Einsteins, enlisted a costume and make up team and shot all the images in a single location. 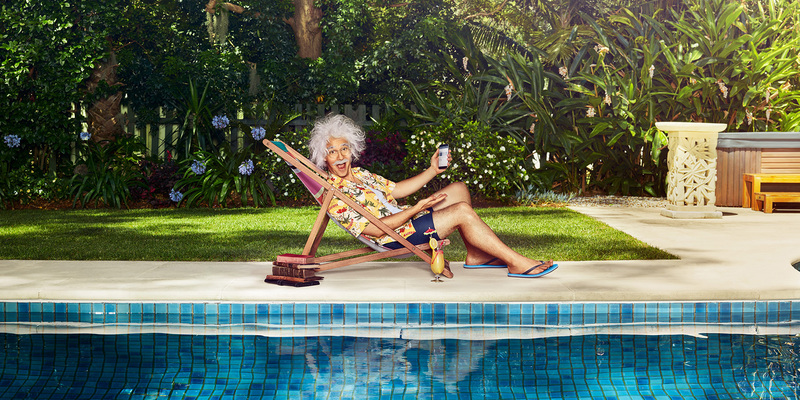 The campaign launched across the trade press, POS and digital with the headline, ‘ A genius way to control your pool costs’.